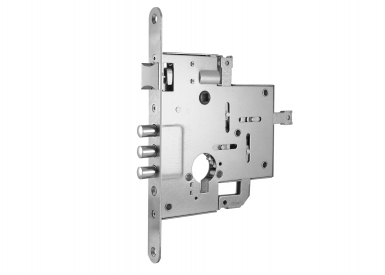 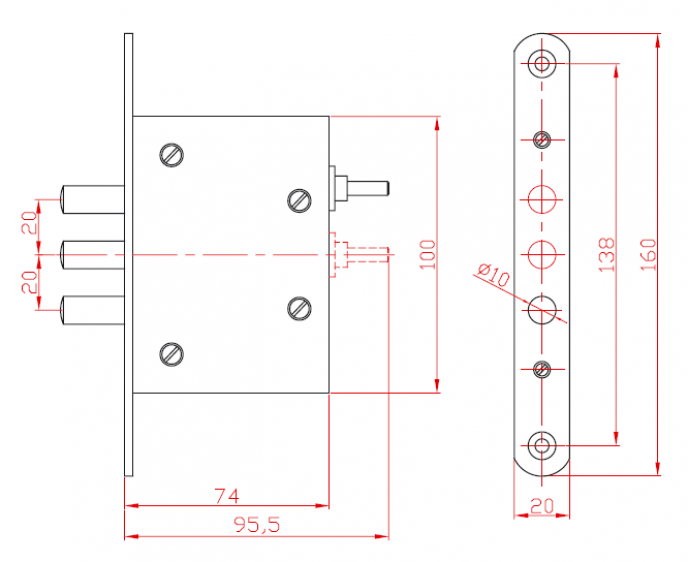 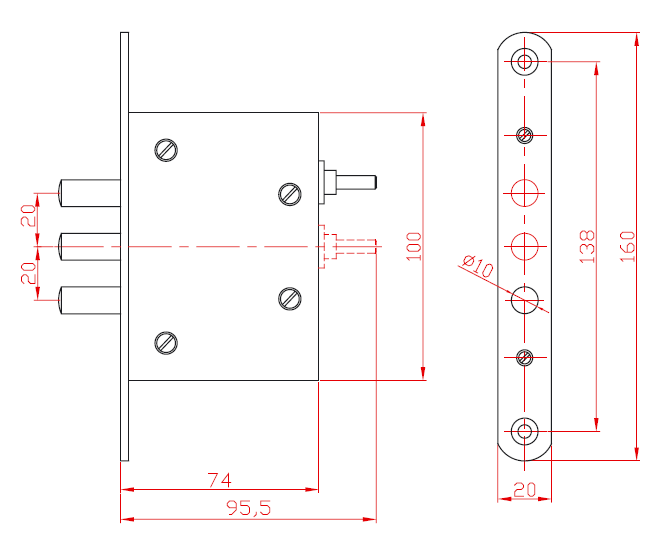 As an additional mortise lock for metal and wooden doors. 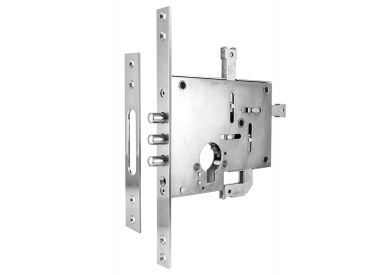 The lock is designed to work in combination with trilateral or quadlateral locks. 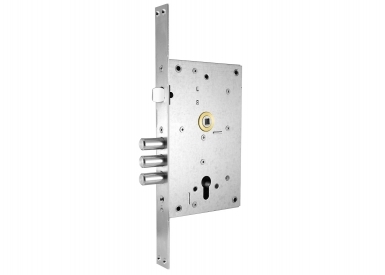 The lock is designed to fix the door to the doorframe via multi-point contact system. 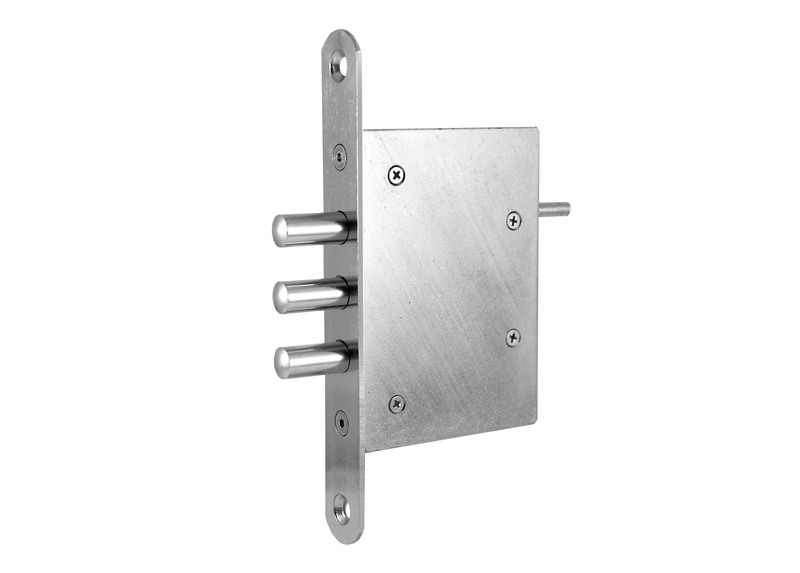 It is designed to work in aggressive environments at high risk of vandalism. 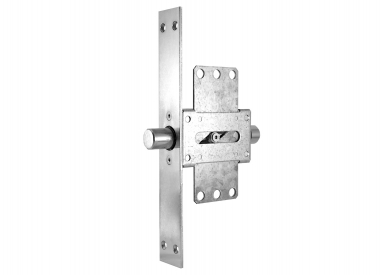 The construction is exceedingly reliable, made of high quality galvanized materials designed to work flawlessly even after long spells of idleness. Suitable for homes, offices, warehouses, country homes and remote facilities.